It was weird watching the Pac-12 decided by a championship game between the Oregon, 10-2 before the game, and the UCLA Bruins, 6-6 before the game, who got destroyed 50-0 by USC a week earlier. The same USC that stunned Oregon in Eugene 38-35 a few weeks ago. It wasn’t weird at all watching LaMichael James run all over the Bruins, carrying Oregon into another BCS game. It was a year ago when Oregon clinched their place in the national title game before losing to Auburn. A year earlier it was the Rose Bowl game that was the disappointment filler for Oregon, losing to Ohio State 26-17. The Ducks’ last bowl game win came in the 2008 Holiday Bowl, beating the Oklahoma State Cowboys 42-31. Their last win in a BCS Bowl was in 2002, beating Colorado 38-16 in the Fiesta Bowl. Many argued that Oregon deserved to play for the national title that year. Those two wins came under Mike Bellotti. 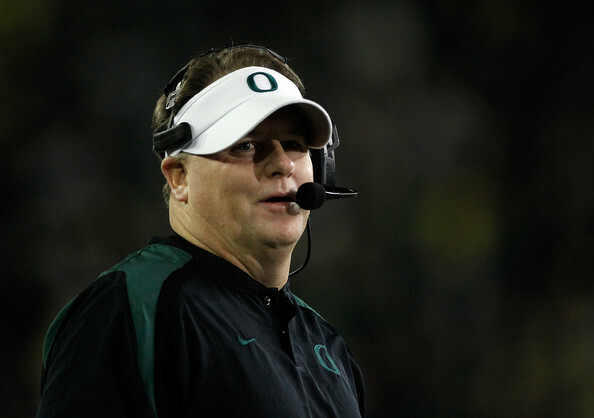 It’s time for Chip Kelly, 34-6 since taking over at Oregon, winning the conference in all three seasons, to win a big Bowl game. Any bowl game at that. 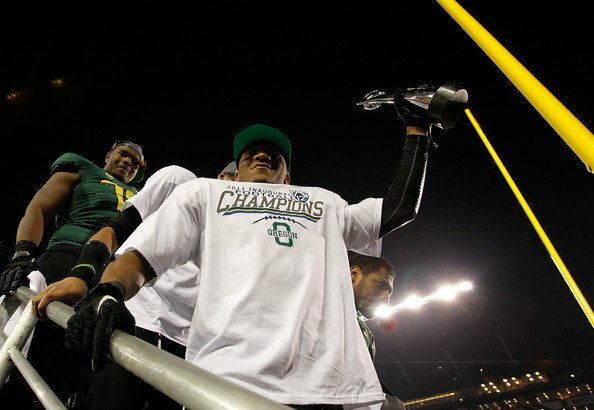 It also might have been LaMichael James’ one before last football game with the Ducks. He ran for 219 yards and three touchdowns, becoming the first running back in conference history running for at least 1500 yards on his first three seasons. He reached 52 career rushing touchdowns, second in conference history. His total rushing yards, 4923, make him third on the all time list. One more year? That was what Oregon fans were shouting to James as he danced to celebrate the victory after the game. Just being with my teammates, I cherish that. I don’t think about ‘one more year.’ I just think about today. The politically correct answer from someone who isn’t going to stay, unless that desire to win a national title is really in his bones. For UCLA, despite another disappointing season and a 6-7 record, they might get a bowl game invite. Fired head coach, Rick Neuheisel, was just one of many Pac-12 coaches (Arizona State, Washington State) to lose their jobs as the season ended. For those (very few) that say Oregon deserve a title shot – don’t forget, they lost to LSU already this season. I’m all for the Conference Championship meaning something and a team that didn’t even make it there (Alabama) shouldn’t get a chance for the national title, but the BCS system makes things very complicated. Oregon will have to settle for the Rose Bowl. For once, they’ll be favorites to win it.